It’s been quite a week for Aztec Student Union. From cold, cloudy mornings to hot summer-like days, crew members are taking it all in stride and putting up walls as quickly as possible. This week’s Photo Friday installment includes images from the #PhotoaDay project posted on Facebook and via Twitter. All sides of the Union are exposed in this week’s collage, from the pedestrian bridge spanning College Avenue to the view from F Lot. 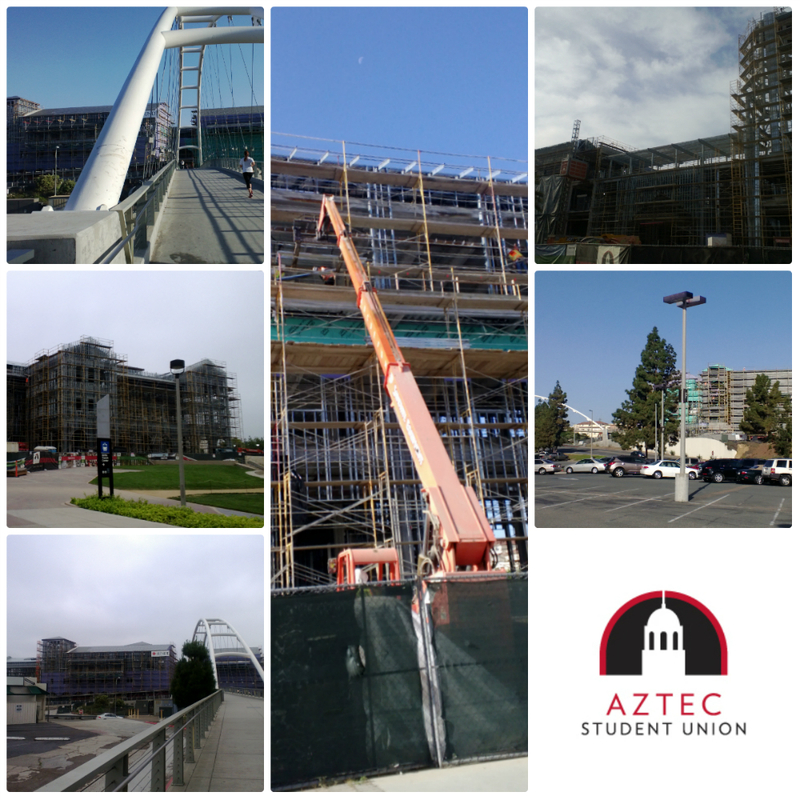 Want even more views of Aztec Student Union? Be sure to visit the live construction camera on the website!